Dublin is a vibrant and friendly City with safe neighborhoods, numerous parks and bike paths and a variety of community events and activities for our residents to enjoy. It’s no wonder Dublin has been recognized nationally as one of the best places to live. 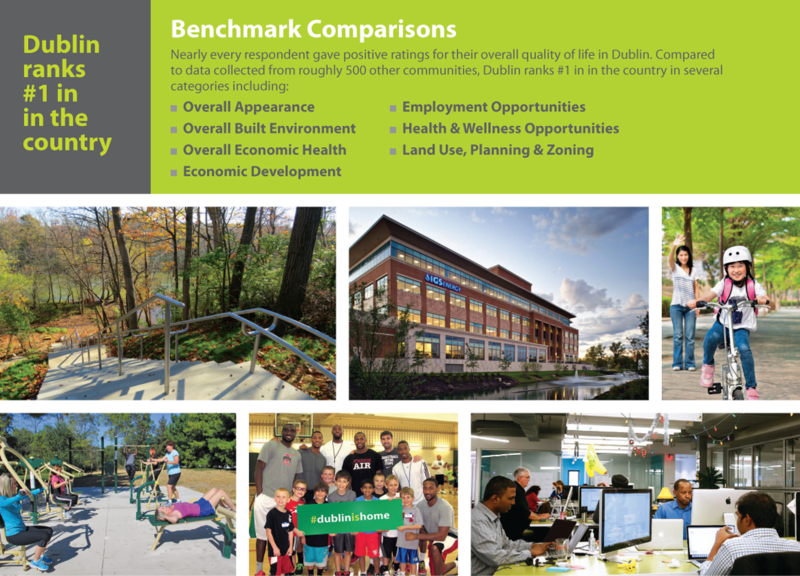 The City of Dublin provides an extremely high level of local government services and is committed to working with residents and businesses to exceed expectations. Data from a recent National Citizens Survey measuring “livability” comparing cities across the country found our residents ranked Dublin at the top of most categories, and some categories #1 in the country. Everyone from the City Manager to field staff is accessible and eager to help individuals or businesses address their needs and concerns. We are here to serve you. Dublin is conveniently located just 20 minutes from downtown Columbus, just off the I-270 outer belt – and just 20 minutes from Columbus International Airport.